Successfully Added AMPEX Subwoofer Audio Speakers - 2.1 Channel, 30 Watt Subwoofer, 2X10 Watt Speakers, Audio In, USB, SD Card, FM Radio to your Shopping Cart. When it comes to speakers the AMPEX AX602MS 2.1 channel audio speakers and subwoofer are hard to beat. For customers looking for enhanced entertainment and who want to play stunning audio, improve their movie experience or immerse themselves in gaming this 2.1 channel subwoofer speaker set is sure to deliver and it is an ideal way to upgrade your existing entertainment system. With 2x Audio in, USB and SD card inputs as well as an FM radio you can play music from just about any source and enjoy the superb quality of the AMPEX subwoofer experience. This AMPEX subwoofer and audio speaker system has a full bass system with treble and built in amplifier able to fill most rooms with its rich resonating tones. 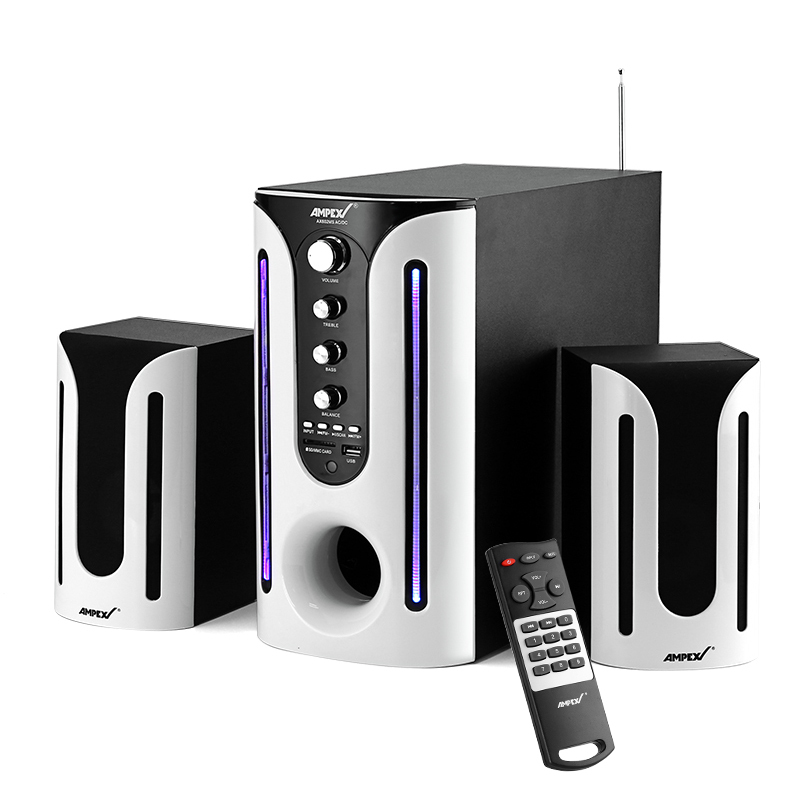 Letting you boost the output of your iPod, CD player or portable audio player this 2.1 channel subwoofer will really get the party started. 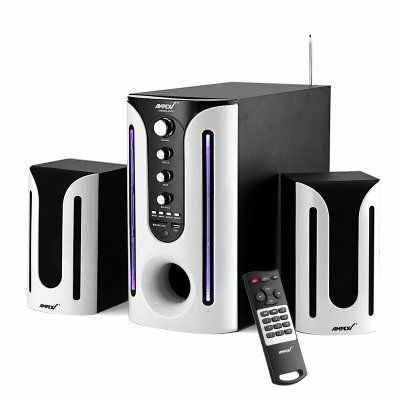 Consisting of one 30 Amp subwoofer and two satellite speakers you'll get a fantastic sound quality that's fully adjustable with volume, treble, bass and balance controls directly on the system or from afar via the remote control. AMPEX subwoofer speaker comes with 12 months warranty, brought to you by the leader in electronic devices as well as wholesale speakers and audio gadgets..